The night sky has been the inspiration for poetry, prose and praise. *Holman Christian Standard Bible (HCSB), Copyright © 1999, 2000, 2002, 2003, 2009 by Holman Bible Publishers, Nashville Tennessee. All rights reserved. 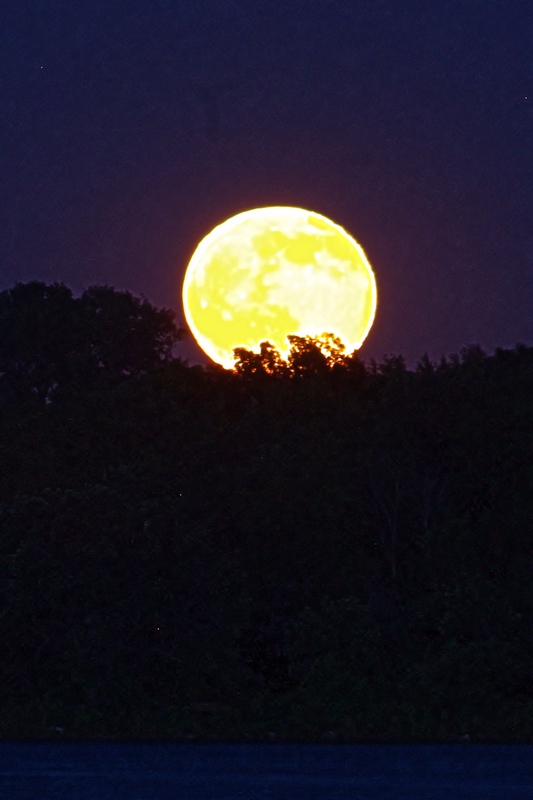 The “Honey Moon” was visible in the Northern Hemisphere on Friday the 13th.The name comes not from the traditional wedding month, but from the moon’s yellow tone as it seen through more atmosphere, traveling a path closer to the horizon in opposition to the sun’s higher path as the summer solstice approaches. 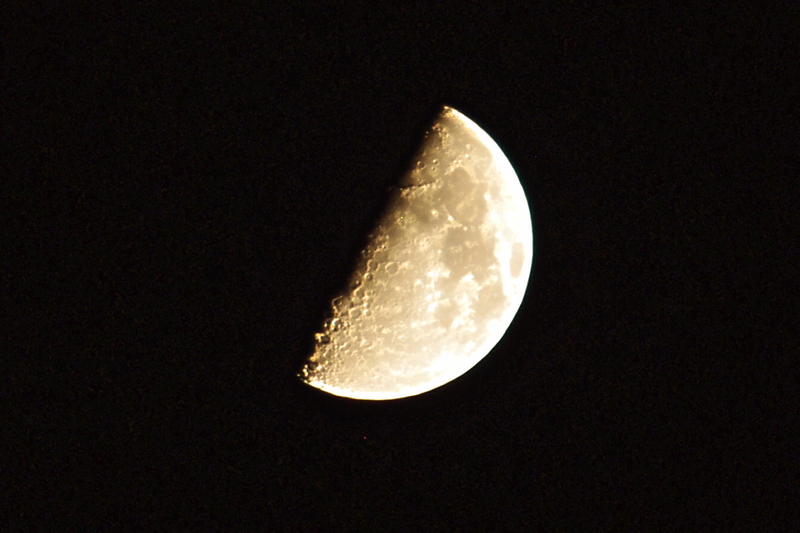 Because my amateur photography is characterized by a lot of trial and error, I was searching for moon photography tips online. I discovered this site and app, The Photographer’s Ephemeris. It allowed me to add the extra, extra for which I was looking. 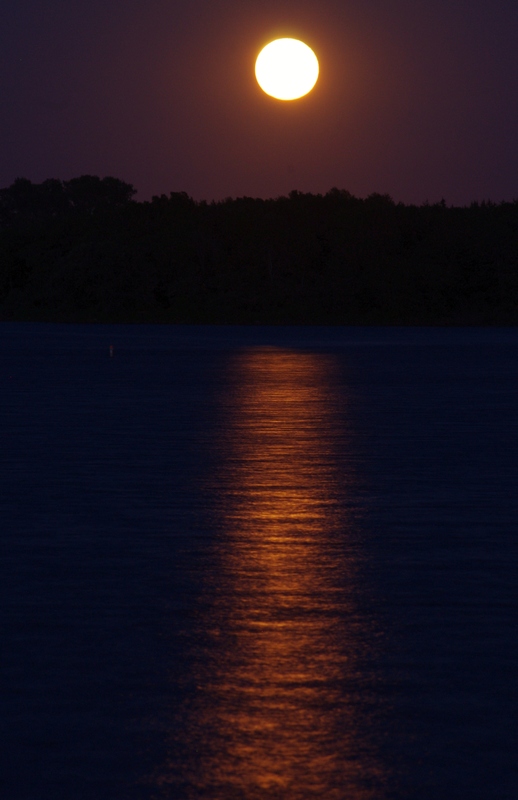 While the full moon was beautiful in its own right (extra), I was wanting the moon’s reflection in water (EXTRA, EXTRA). The app gives the times of sun/moon rises and settings, as well as the coordinates of each with a compass feature. Knowing the angle of the moonrise, the app enabled me to do a map search on my phone of various lakes in my area to find a place to set up for the shot with the most water in the foreground. The TPE app will prove to be very valuable in calculating sunrise/set pictures, as well. Check out the video to see some of the additional features. There are few things in the visible, celestial realm as enthralling as a full moon. To think that it has no light of its own but is just a reflection of the sun brings to mind so many spiritual applications. The example that I like the most has to do with Jesus’ words to His followers that we are to let our lights shine. As followers of Christ, we have no natural spiritual light but only a reflective light of the glory of God in our lives. When we are living fully in His grace and under the control of the Holy Spirit, we are motivated to show His loving kindness to others. They see our good works and begin to get a picture of God’s love for them as we radiate a bright reflection of Him. However, just as the earth begins to cast its shadow on the moon, eclipsing and even blocking out the sun’s reflective light on the moon, worldliness in the life of a Christian diminishes the reflected glory of God in our lives. The less of Christ the world sees in His followers, the more unlikely they are to grasp the glory of God. May the full moon be a reminder to you, follower of the way, to shine brightly the way for others!